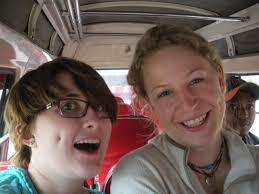 To travel in Tanzania you will be required to obtain a visa at your arrival point. This will cost $50/ $38 if you hold a European passport, or $100 if you are an American citizen Tanzania Embassies abroad. You will also be required to fill in a form with details such as your name, address, length of stay and purpose of stay. The customs officer will then take you picture and add your visa sticker to a blank space in your passport. Kenya visa– A single entry business / holiday visa currently costs $25, £20 or €20, and can usually be obtained upon arrival by air or road for most nationalities. However, keep in mind that, depending on the kind of tour your choose, this might not be the right kind of visa for your trip. You could need a multiple entry visa (for example if you enter Kenya by air via Nairobi, take a circuit tour to Tanzania, and re-enterKenya by road.) These cost £30. You might even be able to take a transit visa, which cost only £10, $10 or €10. In order to qualify, you’ll need to be staying in Kenya less than 7 days, and enter and leave through different border posts. For the most up-to-date information, contact your nearest Kenyan embassy, as requirements can differ depending on where you are from. If you are obtaining your visa on arrival, ensure that there is sufficient space in your passport for it – if your passport is already full you will be refused entry. You have made a significant investment in your travel plans and, while in most cases everything will run smoothly, situations may arise on or before your trip that are outside of our control as your travel agent and for which we cannot be held responsible. 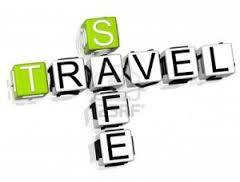 Travel insurance may help make your trip more worry free by protecting your investment and yourself. 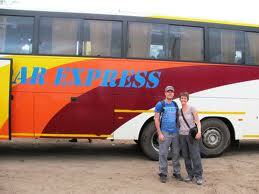 We strongly advise you take out an comprehensive insurance policy before travelling to Africa. 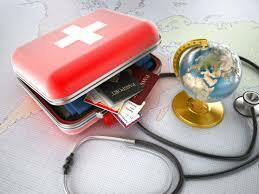 Make sure your health insurance covers you for medical expenses abroad. If not, supplemental insurance for overseas coverage, including possible evacuation, should be seriously considered. If illness occurs while abroad, medical expenses including evacuation may run to tens of thousands of dollars. Bring your insurance card, claim forms, and any other relevant insurance documents. Before departure, determine whether your insurance plan will make payments directly to providers or reimburse you later for overseas health expenditures. Malaria is always a serious disease and may be a deadly illness. Humans get malaria from the bite of a mosquito infected with the parasite. Your risk of malaria may be high in all countries in East Africa, including cities. All travelers to East Africa, including infants, children, and former residents of East Africa, may be at risk for malaria. Prevent this serious disease by seeing your health care provider for a prescription antimalarial drug and by protecting yourself against mosquito bites. A certificate of yellow fever vaccination is required for entry into Tanzania when arriving from countries where yellow fever is present. Check here the Countries where yellow fever certificates required. For Climbers you should consult your doctor to check you are medically fit to endure a strenuous activity and able to acclimatize without injury. It is recommended that you are physically fit for the trek and hiking to higher altitudes, where possible, will be beneficial for acclimatization during the actual climb. Kenya and Tanzania are both comparatively safe African destinations, but there can be a few pitfalls. Following a few simple rules, mainly based on common sense, can help you avoid problems.Try not to carry your valuables (cameras, jewellery, large amounts of money) around cities and towns with you. Pick-pocketing and bag-snatching are probably the most common crimes in these countries. Try to avoid getting in the midst of large crowds, and if you do start to feel uncomfortable or concerned, simply duck out and wait in a cafe or shop for a little while. When you first arrive, try to avoid the temptation to get exploring straight away, or get distracted by all the exciting things around you; wandering around with your luggage and a look of wonder on your face is the clearest signal you’ve only just arrived. Similarly, walking down the street reading a guidebook or map could also attract unwanted attention. The major airlines travelling into Tanzania from Europe are British Airways (London Heathrow – Dar Es Salaam), Virgin Express (London Heathrow to Kilimanjaro), KLM (Amsterdam – Kilimanjaro), Turkish Airlines (Istanbul – Dar Es Salaam) and Swiss (Zurich – Dar Es Salaam). From Asia, passengers will usually connect in Singapore, the United Arab Emirates or India. 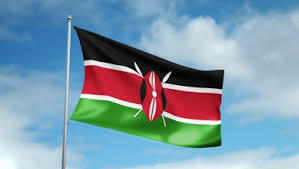 Alternatively, from Hong Kong, Guangzhou and Bangkok passengers can connect in Nairobi with Kenya Airways. There are many African airlines offering flights to either Dar or Kilimanjaro, for example Ethiopian Airlines (from Addis Ababa), Kenya Airways (from Nairobi), Zambian Airways (from Lusaka), or SAA (from Johannesburg). Passengers travelling from the United States will have to take a connection in one of the above mentioned European or African hubs, whilst passengers from Australia or New Zealand will have to connect in an Asian hub. Travel to Kenya– The national airline in Kenya is Kenya airways, but other major airlines also operate out of the three international airports at Nairobi, Mombasa and Eldoret. British Airways flies nonstop from London to Nairobi, Swiss Air offers services from Zurich to Nairobi, and Emirates offer connection flights to Kenya from Europe through its middle eastern hubs. There are also several major bus routes to Kenya, the main connections to Nairobi being from Dar es Salaam, Arusha and Moshi, and to Mombasa from Dar es Salaam only. Getting through should be relatively easy, though you may want to arrange your visa in advance to save time (for yourself and your fellow passengers!). There are also ferries to Mombasa from Zanzibar and Dar es Salaam. If driving into Kenya in your own vehicle, bear in mind first of all that you will need registration papers for the vehicle, liability insurance and an international driving permit – all in addition to your domestic license. If approaching Kenya from the north, the only viable route at this time is through Ethiopia – though the border post of Moyale can be dangerous due to an increase in civil fighting. Crossing through Somalia and Sudan is unfortunately not safe at this time. From the south, there are four main posts at the border between Kenya and Tanzania – Namanga, Taveta, Isebania and LungaLunga. 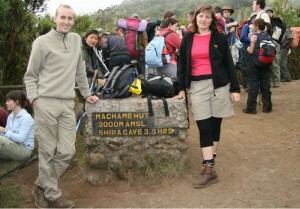 Kilimanjaro is based in Tanzania, just below the border with Kenya. Moshi is the base of all climbs and is located at the foot of Mt Kilimanjaro and is near the Kilimanjaro international airport (one hour transfer). (1) fly to Kili airport directly, near Arusha/ Moshi, We will pick you up at the airport or drop you off for $20 one way per person (a bit less for larger groups). 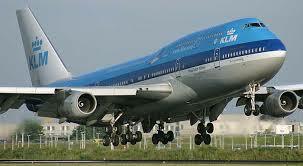 The airport code is: JRO and Ethiopian and KLM/Kenya/NW/AF airways serve it as well as some budget airlines. Usually people connect in Amsterdam (AMS) or in Ethiopea. (2) You can fly to Nairobi International airport first, Jomo Kenyatta International: Airport code NBO, most of the international carriers have scheduled flights to Nairobi. In this case you will need a shuttle bus from Nairobi-Moshi, it leaves at 0800 in the morning and takes about 4- 5hours ride, costs are $40 pp one way. You can also book a plane, about $150-$250 one way. It will be much cheaper if you book this flight from your home as part of your total international ticket/itinerary. The usual lines of communication, such as telephone, fax, telegram post and internet are all available in major cities and tourist spots. In rural areas, international calls are made through the operator, but direct dialling is available to many countries in bigger towns and cities. If making international calls from Kenya or Tanzania, you must start the call with 000, then the international dialling code for the country you’re calling. 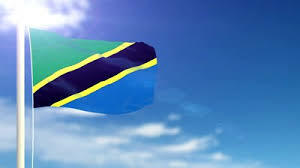 The international dialling code for making calls to Kenya from another country is 254 and 255 for Tanzania – these codes are not necessary for other calls within these regions. Mobile telephone coverage is based on GSM 900 network, though this coverage may not reach beyond major cities, main highways and popular game reserves. You are however advised to check beforehand whether your GSM phone is usable if you are traveling outside the main urban centres. You can obtain a GSM card that will allow you to make international calls to any country. Tipping is always a difficult subject to cover for Kilimanjaro. Some say that tips are mandatory, others say different. We at ANAPA Travel Tanzania Ltd would like to stress that a tip should only be given when someone feels they have received an exceptional service. It is never mandatory to give a tip, and though our guides and porters work very hard on the mountain to ensure your safety and success, they are all doing their job. To hand out the tips to each porter and guide individually if possible, or to the head guide and have him disperse it. Note that; the below is just a guideline for tipping, the final amount you give is your decision, you can always give more or less than the amounts stated below. The vast majority of East African banks now have ATMs. Barclays banks have the most reliable services for international travellers, supporting MasterCard, Visa, Plus and Cirrus cards with their extensive networks of ATMs throughout major Kenyan and Tanzanian towns. 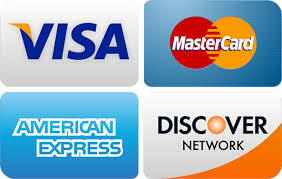 Standard Chartered Bank and Kenya Commercial Bank also have substantial networks, supporting MasterCard and Visa. Banks are generally open from 9am to 3pm weekdays, with some opening very limited hours on Saturdays.Hotels, lodges and other tourist spots generally accept MasterCard and Visa, some with a surcharge. 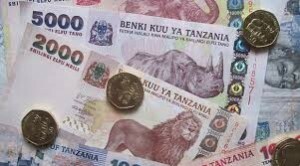 The currency of Tanzania and Zanzibar is the Tanzanian shilling (TZS). Coins range from 50, 100 and 200 shillings and notes from 500, 1,000, 2,000, 5,000 and 10,000 shillings. 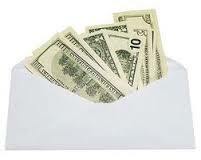 The euro, the dollar and the pound can all be easily exchanged at major hotels, banks and Forex bureaus. Cash is of course at a higher risk of theft, but travellers cheques are becoming increasingly less accepted, and can sometimes carry high commission charges.